Microevolution, broadly defined, is the inevitable small-scale changes in allele frequencies in a population within the same species. Under this broad definition, this change in overall allele frequencies occurs with every birth or death of a member of the species. In other words, some generations of people might be taller than the last or shorter than the last based on the number of individuals who happen to have the "tall" gene. Microevolution does not involve changing from one kind to another, and it does not create new kinds. Many evolutionists, although not all, claim that the distinction between microevolution and macroevolution is arbitrary because they indicate that microevolution leads to macroevolutionary changes. In other words, as microevolutionary changes accumulate it leads to macroevolution. However, there have been prominent evolutionists who dispute this matter and argue that the mechanisms underlying microevolution cannot be extrapolated to support the general theory of evolution (macroevolution). Creationists argue that microevolution/adaptation/variation within a kind of animal occurs, but macroevolution does not occur. 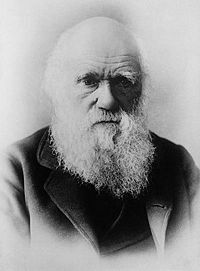 The website Darwinism Refuted points out that finch beak microevolution, which Charles Darwin wrongly speculated leads to macroevolution, actually helps show that birds remain birds. Whilst many creation scientists agree with the concept of microevolution, but call it adaptation, they argue that there is a large difference between microevolution and macroevolution. However, as indicated above, most evolutionary scientists do not make any real distinction between the two, and leading creationists argue that using the terms "microevolution" and "macroevolution" obscures the real distinction, that being between the unobserved information-generating mutations that evolution requires and information-destroying mutations that are observed. Intelligent design (ID) is the empirically testable theory that the natural world shows signs of having been designed by a purposeful, intelligent cause. As Jonathan Wells wrote, "ID ... asserts only that some features of living things are better explained by an intelligent cause than by unguided processes." Wells, among others, uses ID to rebut the Darwinian assertion that the features of living things are "inexplicable on the theory of creation" but fully explicable as products of unguided natural forces. The central idea of Intelligent Design theory is that design is empirically detectable, just as the detectability of design in man-made objects is straightforward, non-controversial, and often intuitive (see: design detection). Microevolution is the process by which bacteria may develop resistance to antibiotics. We regularly use antibiotics to stop bacterial infections. When a colony of bacteria is exposed to an antibiotic that matches the colony's gram type, the bacteria are likely to die if they do not have genes that produce molecules to inhibit the action of the antibiotic. If the survivors reproduce, the colony will contain only bacteria that have inherited resistance genes. A second application of the same antibiotic will not affect them. Genes to resist various antibiotics are natural for bacteria to produce because the many species of bacteria war with each other for more space using these chemicals on each other. In order to protect itself, a given species of bacteria would at least have genes for resistance to the particular antibiotic it produces. Resistance genes can also be produced by random mutation, usually through mistakes in copying the DNA during cell division. Furthermore, bacteria can pass genes for antibiotic resistance between strains and even between species through plasmids containing the gene for resistance. Because antibiotics have been used so widely in medicine, there is increasing concern about developing strains of bacteria that can acquire multiple resistances to most of the antibiotics we use (such as MRSA). High compliance with infection control measures and a prudent and more restrictive use of antibiotics are the key measures to prevent epidemics based on bacteria with multiresistance. In one of the most widely publicized cases of unexpected rapid microevolution, Australian Cane Toads defied predictions based on evolutionary theory by experts about how they would react after being introduced to Australia. Within decades they evolved longer legs and heat tolerance, running amok and causing havoc for the wildlife; and instituting a national catastrophe for the continent. According to the assumptions of evolutionary theory, if evolution always went at the rate that we see today, there should be 160 times more differences between humans and apes. So rather than assume 'the present is the key to the past', scientists then decided that evolutionary rates today have accelerated for some reason. In 1971, scientists introduced 5 pairs of Italian Wall Lizards to a small island off the coast of Croatia. However, the Croatian War of Independence prevented the scientists from returning to the island for more than 30 years. When the war ended, tourism finally began again in 2004, allowing them to return. The researchers were unsure if the lizards would still be alive. Instead, they found the island swarming with lizards, which genetic testing showed to be descendants of their original 5. The new lizards had wiped out native lizard populations by evolving cecal valves, muscles between the large and small intestines, with which to digest native vegetation, an expanded gut structure, as well as a harder bite. Contrary to theoretical predictions based on evolutionary theory, genomes for the Angiosperm Silene (a flowering plant) evolved far more rapidly than was expected, as reported in the January 2012 issue of PLoS Biology. Researchers are now trying to find an explanation for why such rapid microevolution is occurring, and a new model that will avoid such surprises in the future. A 2009 study observed that rodents evolve at "unprecedented rates" given climate change and population growth, and that rapid evolutionary change in rodents has been occurring for over a century. The article also notes research on rapid Micrevolution has previously been "infrequently documented", but that despite this, more and more evidence is cropping up for it. ↑ Adaptation. Answers in Genesis. Retrieved March 24, 2017. ↑ Arguments we think creationists should NOT use (Creation Ministries International). ↑ Skelly, David K. "Rapid Evolution." Yale University. School of Forestry & Environmental Studies. ↑ Roach, John (2006, February 15). "Toxic Toads Evolve Longer Legs, Study Says." National Geographic. ↑ O'Hanlon, Larry (2007, April 2). "Toxic Toads Evolving Quickly." DiscoveryNews. ↑ Roach, John (2007, December 11). "Human Evolution Speeding Up." National Geographic. ↑ Schmid, Randolph E. (2007, December 10). "Researchers: Human Evolution Speeding Up." The Washington Post. ↑ Johnson, Kimberly (2008, April 21). "Lizards Rapidly Evolve After Introduction to Island." National Geographic. ↑ Sloan, D.B., Alverson, A.J., Chuckalovcak, J.P., et. al. (2012, January). "Rapid Evolution of Enormous, Multichromosomal Genomes in Flowering Plant Mitochondria with Exceptionally High Mutation Rates." In PLoS Biology. Public Library of Science. ↑ Pergams ORW, Lawler JJ (2009, April 21). "Recent and Widespread Rapid Morphological Change in Rodents." PLoS ONE 4(7): e6452. doi:10.1371/journal.pone.0006452. This page was last modified on 9 April 2019, at 12:34.